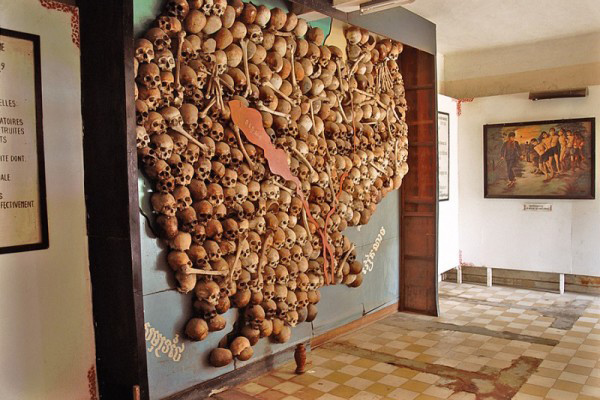 Horror, shudder and pity the innocent people are feelings remained for anyone who had the opportunity to visit the Toul Sleng Genocide Museum in the capital Phnom Penh, Cambodia. 4-storey building is pretty isolated with the surrounding landscape by the old and lack of human breath, especially without the light and the chilling silence coming in the afternoon. “Tuol Sleng”, the prison of Democratic Cambodian administration (commonly known as the Khmer Rouge), is the cruelest prison, marking the genocide of the Khmer Rouge. 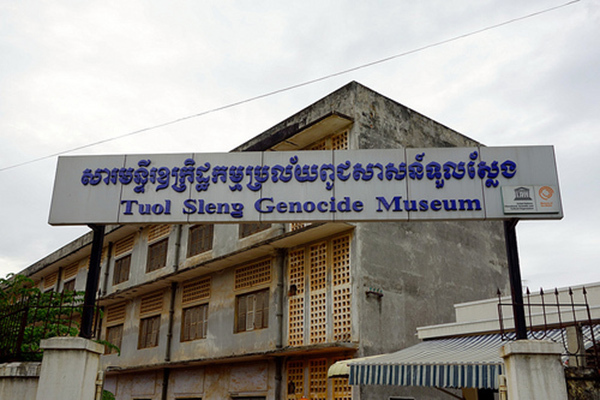 After the country of pagodas was liberated, Toul Sleng Prison became the Toul Sleng Genocide Museum. 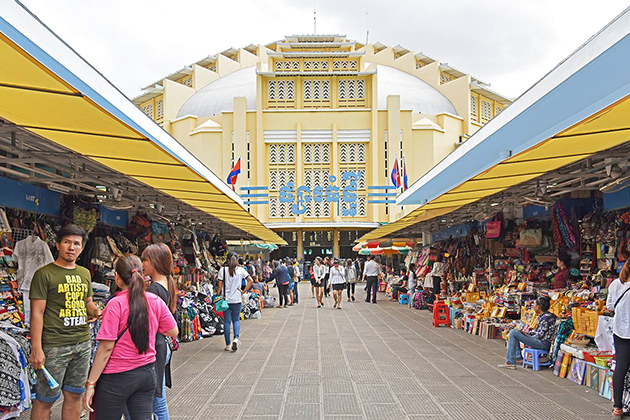 This place preserves a lot of documents, thousands of photos of the victims, many of which still are on display as well as the artifacts found after the Khmer Rouge had been controlled on May 01/1979. Former prison on the outskirts of Phnom Penh exposes to light atrocities of the Khmer Rouge leader Pol Pot and honors 17,000 innocent people who were sacrificed here. Prior to 1975, Toul Sleng was a high school. When Pol Pot’s Khmer Rouge got the power, in May 5/1976, they turned this site into a prison and interrogation place called S-21 (Security Office 21). 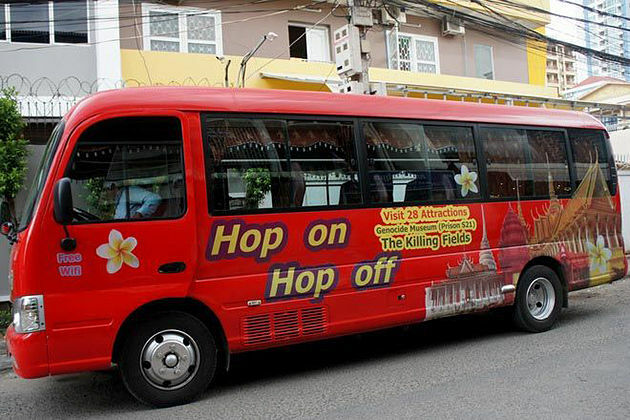 According to the documents that the Documentation Center of Cambodia found, the S21 is designed specifically for interrogation and elimination of the “betrayal” elements. 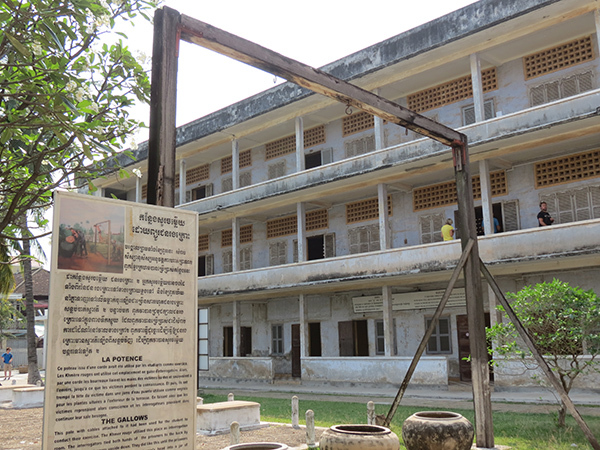 Toul Sleng has 4 main buildings used as a place for execution, detention, interrogation and torture. 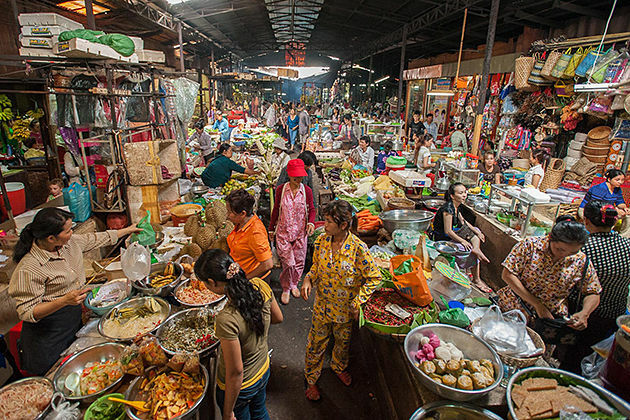 Cambodian society that day was almost destroyed when there was no markets, schools, hospitals, and currency. 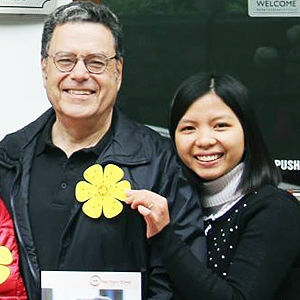 The religious activity also was banned. These innocent victims were imprisoned in small cell ranges built of wood, brick, close together without light, the area is less than 2 square meters, feet are shackled with iron chains buried tightly in the wall or floor. For prisoners chained in a large prison cell, their feet were shackled on the short or long bar shackles. All the prisoners had to sleep on the floor. Every day, prisoners must wake up at 4:30 am to prepare for the interrogations. When sleeping, if they want to change position, the prisoners have to ask the guards. One of the popular forms of torture in S21 is pulling fingernails, toenails; pouring acid on the face, carving chest to drop centipede, using hammers, axes, whip to beat … The prisoners here were tortured brutally, sometimes lasting for months until they had to “confess “or died of exhaustion and disease. After the confession, they were killed savagely. 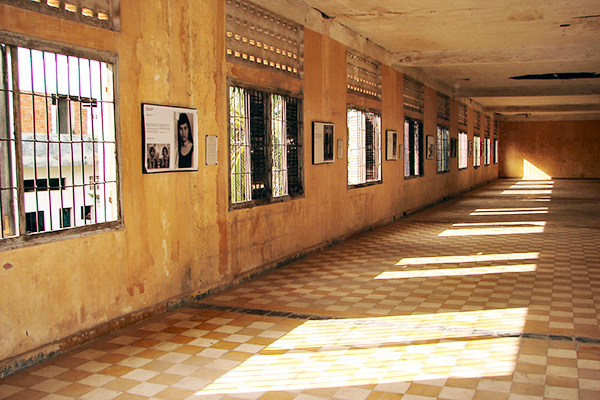 Tuol Sleng Genocide Museum is a trenchant reminder of the appalling crimes that humanity can cause. 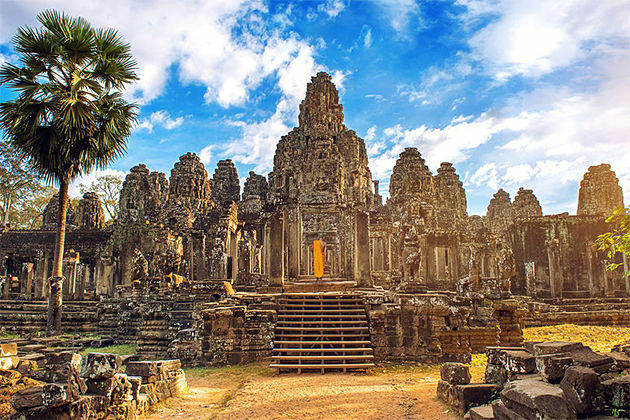 A visit to this place can leave in the mind of tourists the sadness, however, it is undeniable that this important monument expresses a commemoration to those lives have gone under the regime of Khmer Rouge.